Running a 5K or 10K is a fantastic way to get fit, shed weight and establish a long-term fitness goal. Even if you’ve never run before, it’s possible to complete a 3.1-mile (5K) or even a 6.2-mile (10K) event if you’re smart about preparing to go the distance. Road Runners Club of America–certified coach Deborah Brooks says that many new runners take on too much and underestimate the time commitment involved with training properly for a race. This can lead to burnout and poor performance. So where should a new runner start once she’s made the decision to train for a race? Pick a race. Register for an event so you can have a goal to work toward. Set a goal for the race. Make sure the achievement is realistic and in tune with your current fitness level. For example, if you’ve never run a race before, planning to complete the event—hopefully with a smile on your face—is a perfectly reasonable and still challenging goal. Give yourself ample time to prepare for the event. If you’re new to running, plan to invest 3–4 months in training, with the final prep week culminating with your goal race. Pick a training plan that’s suited for your level. Brooks cautions that one training plan doesn’t fit all, and that runners should use it as a guide to individualize based on running history, prior injuries, fitness level and time commitments. The key takeaways: Use a training plan as a guide, but plan to be flexible. You can still finish your goal event even if you don’t follow the plan to a T; just try to follow the plan to the best of your ability. To save you the headache of navigating the thousands of 5K and 10K training plans out there, we asked Olympian Jeff Galloway, whose highly lauded run/walk training plans have helped numerous beginners cross their first finish lines, to share his best 5K and 10K training plans. This training plan is optimal for beginners who are new to the sport of running, as it includes run-walk intervals. During the 15-week period, runners gradually build up their running time from 10–15 minutes in the first week to 30 minutes in the last week. Each week includes 1 day of rest, which is very important for recovery (no matter the distance), and 3 days for walking or cross-training, which keeps runners from burning out. Galloway’s approach to training doesn’t focus solely on how many miles are logged, but more on the time spent completing each workout. The one exception comes every Sunday: Runners will get a taste of what it feels like to complete a specified distance. Each week, runners will build up their miles until they’ve reached a comfortable 4-mile distance, the week before the 5K. For those who may have already run their first 5K and want to tackle the next challenge, or for those beginners who can run 20 consecutive minutes, Galloway’s 13-week 10K training plan prepares runners for the 6.2-mile distance. 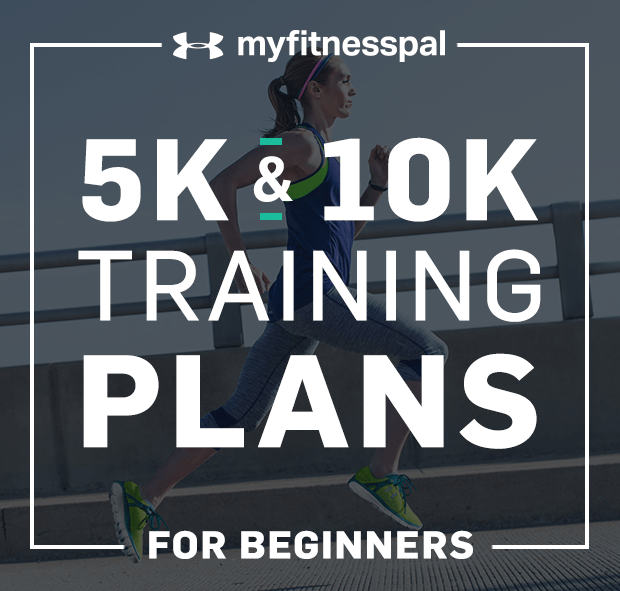 This training plan follows the same theme as the 5K plan, focusing on time spent running rather than miles most days, with 3 days for cross-training or walking, 1 rest day and 1 day that focuses on completing a prescribed distance. During the span of 13 weeks, runners will build from 2 miles to 7 miles, peaking 3 weeks before race day. As the runs get longer each week, Galloway strongly suggests giving your blood sugar a boost by eating an energy bar about an hour before exercise. He also advises runners to drink plenty of fluids when thirsty. Training plans offered, with permission, from Olympian Jeff Galloway. Tracking your runs doesn’t have to be a difficult task. Download the MapMyRun or UA Recordapp and, after your workouts, you can view your training log, which displays the distance of your run, the duration and more. Simply put, the app takes the guesswork out of tracking.